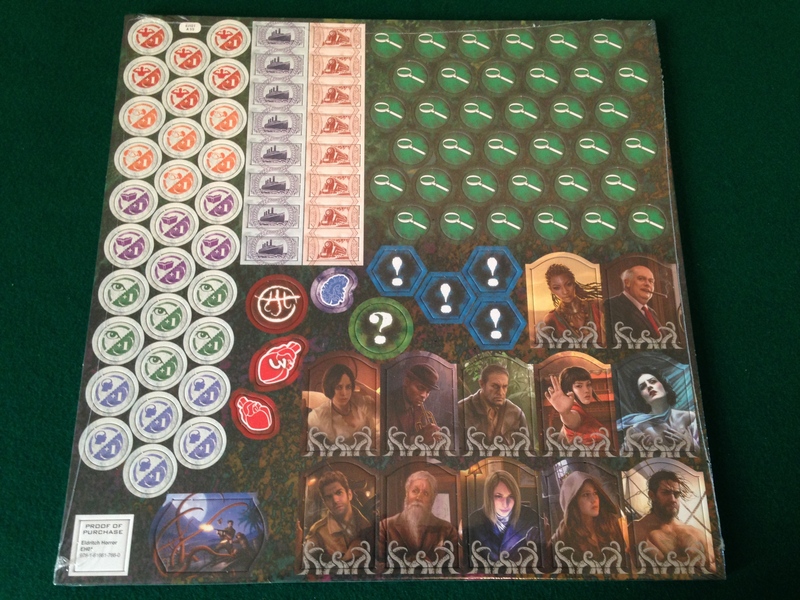 This is the board, with the map of the world to travel. You can see the new-style doom track along the top. 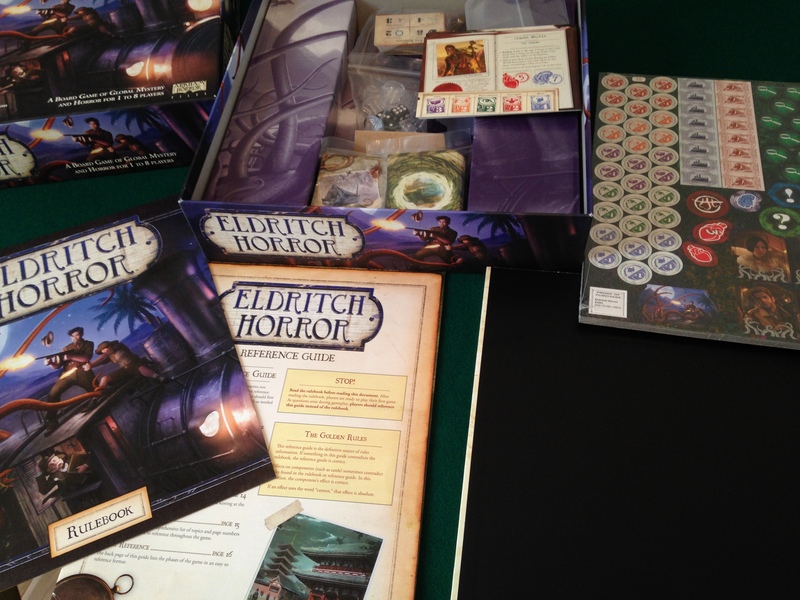 There are twelve new investigators to play, including a spy, a psychic, a shaman and a martial artist. 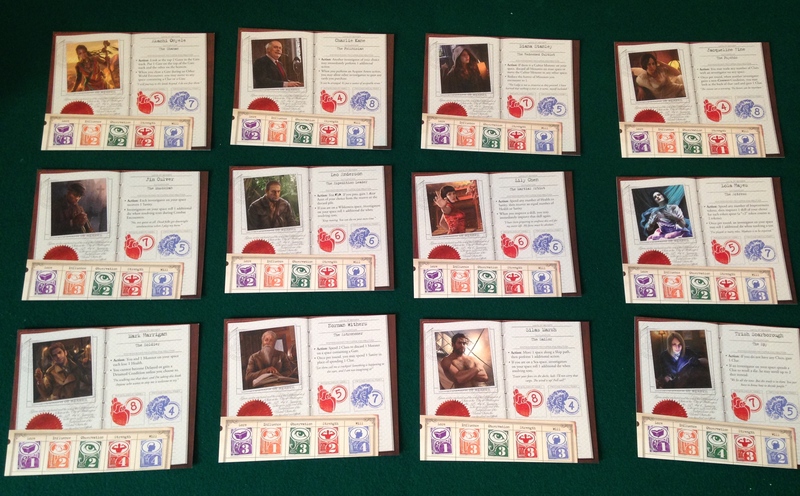 The investigator sheets are laid out like passports, which is cool. The skills are simpler here. They don’t have the fiddly focus bars any more, which we always ignored anyway. 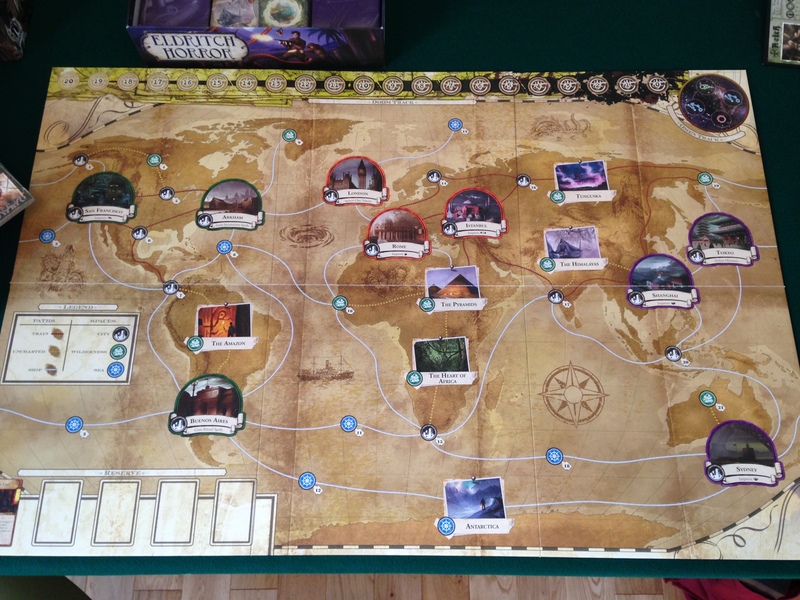 The investigators are up against one of the Great Old Ones, Cthulhu, Azathoth, Yog-Sothoth or Shub-Niggurath. 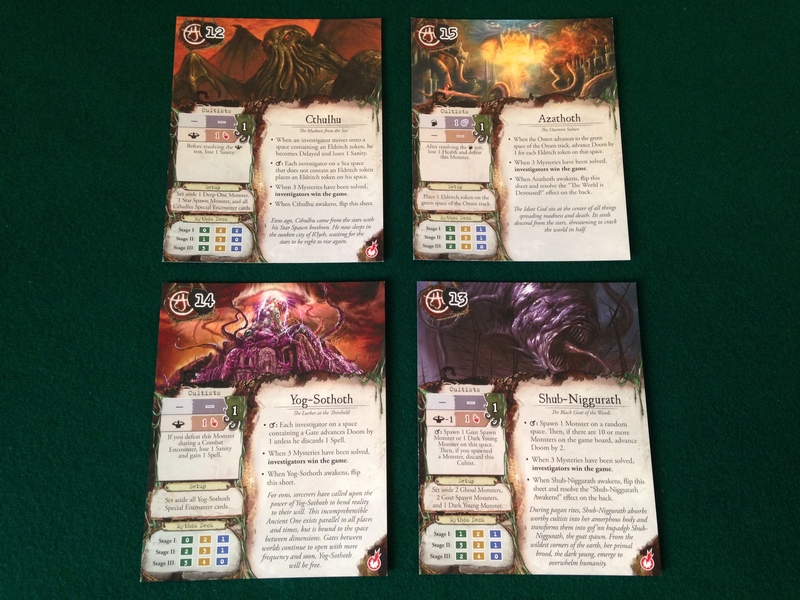 The aim of the game is to solve the specific ‘mysteries’ for the Great Old One instead of just closing gates. This sounds more story-like. 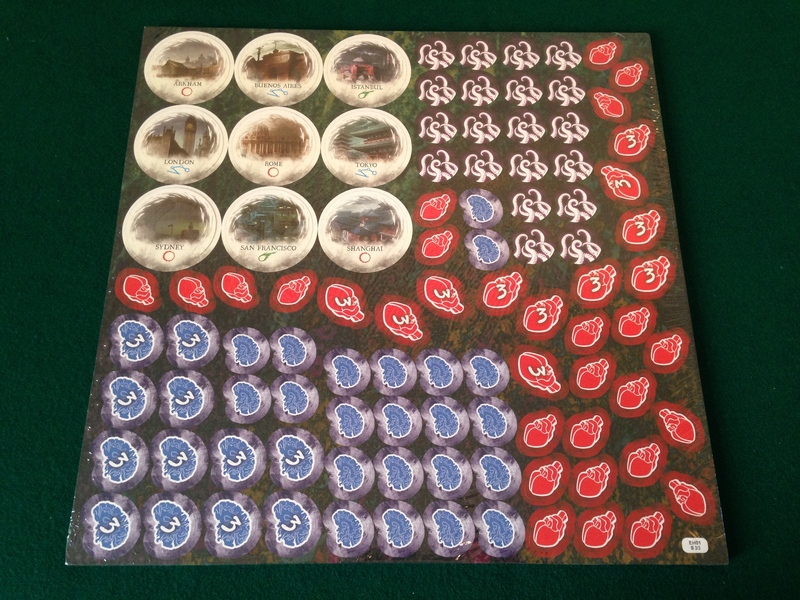 The second sheet has even more tokens, gates, health, and lots of sanity to lose. I’ve downloaded the rules and reference, and next up is to give it a play-through.